Ride in style on your own personal watercraft. Featuring classic lines and a sleek, life-size design that's over six feet long. Ride those waves! Hand-screen printed jet ski pool float. 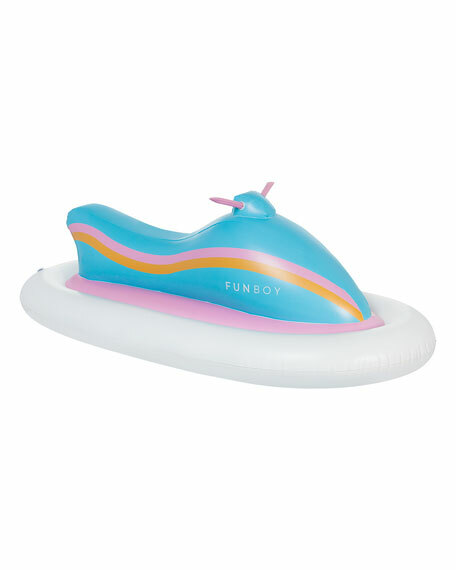 44"W x 22"D x 84"T.
FUNBOY's classic float in a Unicorn shape with new clear pink material! Filled with metallic glitter to create the most dreamy float experience ever. Features a new stable base design and added cup-holder for 2019! 99"L x 40"W x 40"T. Vinyl PVC. Imported. 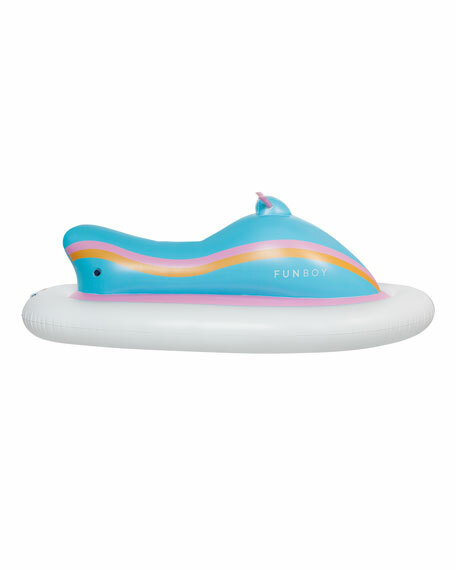 Take flight into the mythical world of FUNBOY with the original Pegasus pool float. Nothing compares to a golden-winged stallion created for your floating pleasure. Giant size: 98"W x 82"D x 38"T. Heavy duty vinyl. Quick inflation and deflation valves. Imported. Rainbow unicorn float. 98"W x 82"D x 38"T. Heavy-duty vinyl. Quick inflation and deflation valves. Imported. Total weight, approximately 6.6 lbs. Boxed weight, approximately 7.1 lbs. 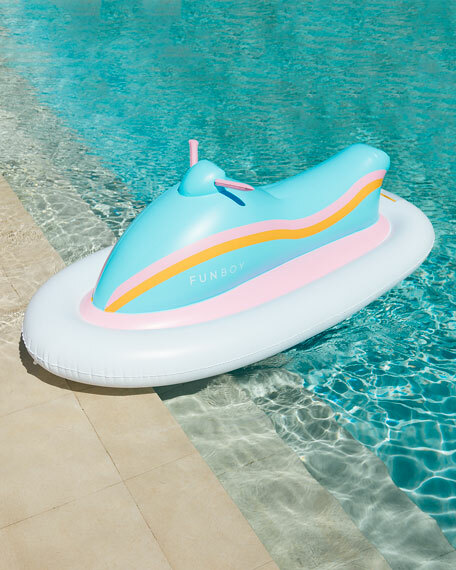 EXCLUSIVELY AT NEIMAN MARCUS Crown pool float seats four adults. 29"W x 12"D x 98"T. Four integrated cup holders. Hand screen printed. Ultra-thick, durable construction. Vinyl/PVC. Imported.